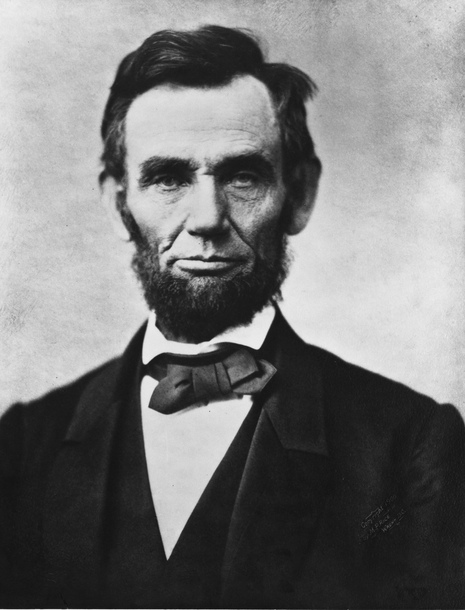 In 1846 Lincoln was elected to one term in the U.S. House of Representatives. A staunch Whig, Lincoln often referred to party leader Henry Clay as his political idol. As a freshman House member, Lincoln was not a particularly powerful or influential figure in Congress. He used his office as an opportunity to speak out against the war with Mexico, which he attributed to President Polk's desire for "military glory — that attractive rainbow, that rises in showers of blood." Lincoln's most famous stand against Polk was in his Spot Resolutions: The war had begun with a violent confrontation on disputed territory (claimed by both Mexico and Texas), but Polk had insisted that Mexican soldiers had "invaded our territory shed the blood of our fellow-citizens on our own soil". Lincoln demanded that Polk show Congress the exact spot on which blood had been shed, and proof that that spot was on American soil. Congress never enacted the resolution or even debated it, and its introduction resulted in a loss of political support for Lincoln in his district; one Illinois newspaper derisively nicknamed him "spotty Lincoln." Lincoln was elected to Congress in 1847, but quickly got on the wrong side of the voters by opposing the Mexican War and doubting President Polk’s assertion that the Mexicans had fired the first shot. He provided active support for Zachary Taylor in the Election of 1848, but was disappointed when he did not receive a political appointment from the victor.